Deacon; May; Mercury; Mercury/Queen  Very Good. In very good packaging. 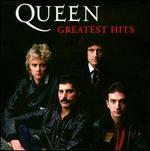 Queen-Greatest Hits by Queen. Very Good. In very good packaging. 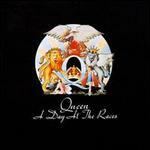 Queen-Greatest Hits I (2011 Remaster) by Queen. Fine. 602527583648 100% Satisfaction guaranteed, we've been in the business for YEARS. We know what we're doing. Deacon; May; Mercury. Fine. In fine packaging. Queen-Greatest Hits by Queen. Deacon; May; Mercury. Very Good. In very good packaging. 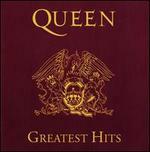 Queen-Greatest Hits by Queen. New. 602527583648 100% Satisfaction guaranteed, we've been in the business for YEARS. We know what we're doing. Deacon; May; Mercury; Mercury/Queen  Fine. In fine packaging. 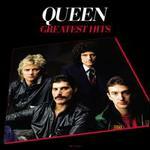 Queen-Greatest Hits by Queen. Deacon; May; Mercury; Mercury/Queen  New.